There’s an indicator in your car showing when the fuel is about to run out and it’s time for us to head to the gas station. The power reserve indicator has a similar function in mechanical watches, showing the amount of power still reserved. 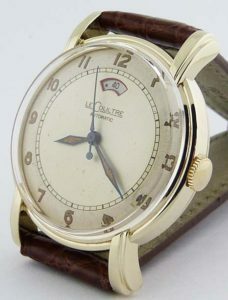 In 1948, Jaeger-LeCoultre introduced a power reserve indicator designed for production in a series of watches called the Powermatic which utilized the LeCoultre Caliber 481. Thus, Jaeger-LeCoultre was the first watchmaking company to launch wristwatches with a power reserve indicator to the masses. The power reserve indicator is one of the most useful features of a mechanical watch besides the actual time display. 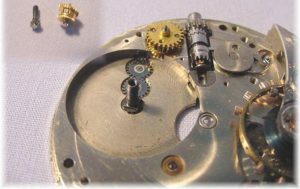 A mechanical watch is operated either by automatic- or manual winding. 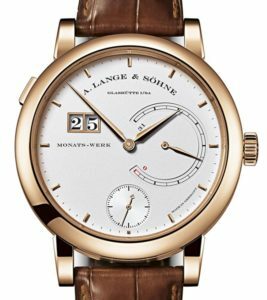 An automatic timepiece needs to be worn for about 10–15 hours before it is fully wound. 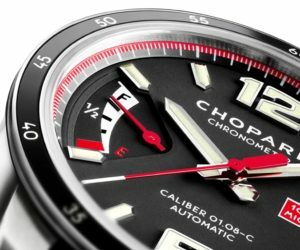 The power reserve indicator displayed on the watch with automatic- winding movement shows how long a watch will function when not worn. 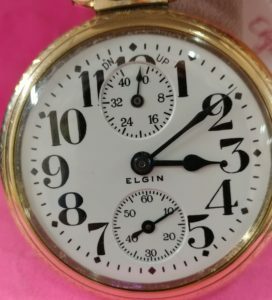 On a manual winding watch, it shows the time left until the watch needs winding. 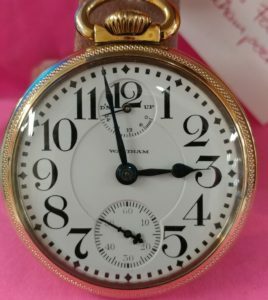 The indication of the power reserve is sometimes represented through a needle or hand or it may be indicted by a revolving wheel viewed through the dial. In the case of a hand indicator, the needle or hand moves from one point of the indicator to another. The zone along which the needle moves, shows how much time is left until the mechanism would be expected to run down. 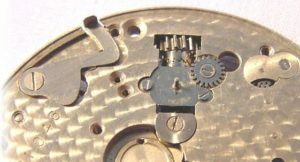 The indicator itself represents the amount of tension of the mainspring, thus the lower the tension the less time left until another winding of the watch is required. Power reserve indicators in a pocket watch are a fairly common feature. This is a useful tool in order to keep your vintage watch always running at peak performance. 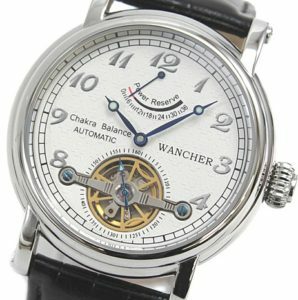 The wind indicator is run by a series or gears that are linked to the watches mainspring. 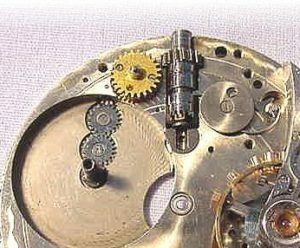 These gears turn as the watch is wound, and slowly move as the mainspring barrel unwinds. A slick and simple idea. dial side showing the indicators gears. 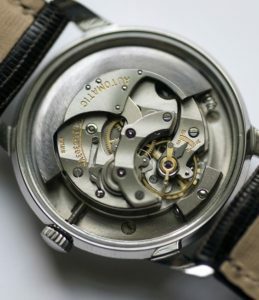 When winding a mechanical watch is there an optimum “percent wound” that one should try for? I have a 16/23 vanguard with a win indicator that doesn’t work because somewhere along the way a repairman placed its toothed wheel with one with no teeth,which doesn’t allow the gear that turns the wheel to engage it . This is the he best way I know how to explain what I’ve been told by a watch repairman who serviced the watch. 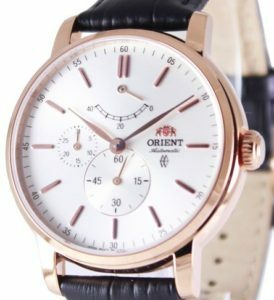 It runs smoothly and keeps very good time since the service but the loss of the wind indicator function makes it a very ordinary, and I would think, less valuable watch. Are you able to fix something like this? Thanks and I hope you have a wonderful thanksgiving. Great story. 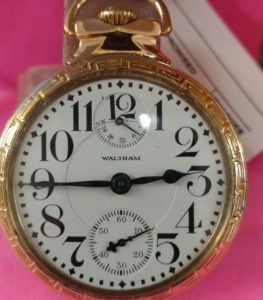 My grandfather had one of these watches, Did Hamiliton make one of these? 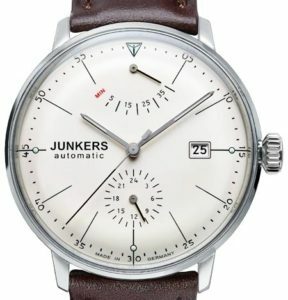 If an automatic watch does not have this feature, should it be manually wound a few turns so that it still works overnight until the next morning? Does doing this can cause tears to the watch gears? Thanks.